John Lennon famously said, “If you tried to give rock and roll another name, you might call it ‘Chuck Berry,’ ” and “Come Together” owes so much to Berry's song “You Can't Catch Me” that Lennon was sued by Chuck Berry's publisher. Update: Just for fun: a cover of “Come Together” from Pomplamoose. Paul Graham offers a nifty essay about two kinds of working schedule. I'd add a couple of observations from my experience as an interaction designer. When I was a consultant, I worked in a very small team that got to set its own rhythm of work internally, which meant that we could take the right sized chunks of time to do things most of the time. This had huge benefits for our productivity, both in the volume of work we could do and its quality. Now that Walter Cronkite has passed on, who is America's most trusted newscaster? Again, it's about the difference between facts and truth, and knowing, on some level, that he's telling the other newscasters to stop hurting America. I've been holding my breath, hoping that the moves the Obama administration has made to justify detention without trial as policy, á la Guantànamo, have been a head fake intended to create the political opportunity to do the opposite. I'm turning blue, here: it's looking more and more like the Obama administration is entirely serious about giving the US government institutional mechanisms for locking people up without a trial. Glenn Greenwald has the latest. A task force appointed by President Obama to issue recommendations on how to close Guantanamo announced yesterday it will miss its deadline and instead needs a six-month extension, potentially jeopardizing Obama's promise to close Guantanamo within a year. The announcement was made in a briefing given by four leading Obama officials, where the condition of the briefing was that none of the officials could be named (why not?) and all media outlets agreed to this condition (why?). Though the Task Force's final recommendations were delayed, it did release an interim report (.pdf) which — true to Obama's prior pledges — envisions an optional, three-tiered “system of justice” for imprisoning accused Terrorists, to be determined by the Obama administration in each case: (1) real trials in real courts for some; (2) military commissions for others; and (3) indefinite detention with no charges for the rest. This memo is the first step towards institutionalizing both a new scheme of preventive detention and Obama's version of military commissions. From this interim report, it's more apparent than ever that the central excuse made by Obama defenders to justify preventive detention and military commissions — there are dangerous Terrorists who cannot be released but also cannot be tried because Bush obtained the evidence against them via torture — is an absolute myth. I am very displeased to be using my “the horror” label on a post about the President of the United States again. Today I find myself thinking of how as the year 2000 approached there was lots of talk of the Greatest X of the 20th Century or the Most Important Y of the Millenium. When talk came around to the Greatest Artwork of the 20th Century, I certainly had to respect folks who went with Guernica or Le Sacre du Printemps or Seven Samurai. But for me, it's no contest. 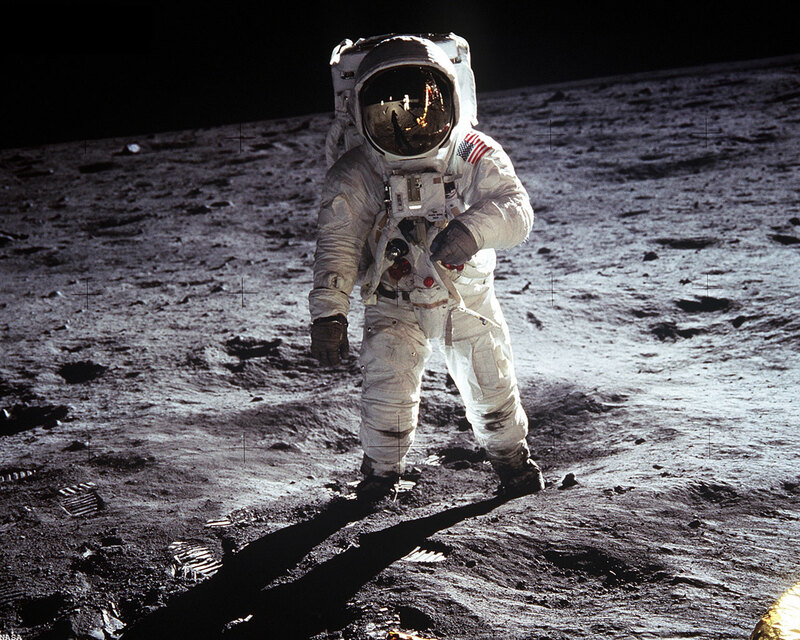 For what, other than art, can you call a human being standing on the surface of the Moon? Whatever other explanations one might offer, we went to the Moon not because it was useful, but for the same reason we do all art. We felt at some deep human level that it was simply too compelling an idea not to take the effort to make it happen. What could be more human? We are curious monkeys. We will risk our lives to know something more about the world. Then, unsatisfied, we will risk our lives again to see it for ourselves. Then, unsatisfied, we will risk our lives again to touch it. What could be more emblematic of the 20th Century? It would have been impossible before: the integral role of technology, that great force of the century, is obvious. And with that there is also the role of technological hubris. The 20th Century political order gave us governments able to gather the resources ... and driven enough by rivalry to invest those resources into it. Global communications meant that half a billion people could participate in it as it happened. 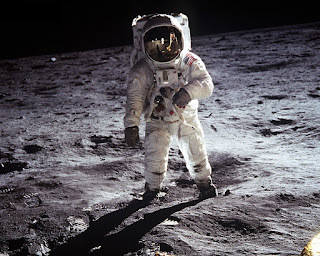 And to that last point, when we talk about it, we ordinarily say that “we went to the Moon.” Not those three astronauts, not NASA, not the United States of America. We went, all of us. In part as witnesses, yes, but also truly as participants, because doing it took just about everything we had. Everything we knew about nature, and technology, and the human frame ... the wealth of the world providing the resources to build the machines, and to support and train the people who did the work ... the wit and skill of people from around the world ... and everything our ancestors did to bring us to the place where we had enough to work with. All of us, even people like me who were not yet born, as the future witnesses who would make the act immortal. What will be the greatest artwork of the 21st Century? It's easy to say the next step, but that seems wrong to me. I like the idea of the Clock of the Long Now. But the century is young; it's more likely something I cannot imagine. Whatever it will be, it has a tough act to follow. Update: @vruba at Tupperwolf has a similar thought about Apollo and the Space Shuttle. Space exploration is art, but we have to keep this secret. We must not say in public that it’s how humanity in a technological age reaches outside itself, how we find a mirror distant enough to see to our edges, how we face the void. Shhh.So people see space exploration as part of the military-industrial complex. And it is. Kind of. Power wants what it doesn’t have, and it can’t have art. Art needs power’s materials and protection, but fears its responsibilities. Even when they come to terms, power never owns art, only a contract, and art is never safe, only sheltered. High on the cathedrals, the stonecarvers make satirical gargoyles. Space exploration is art, but we have to keep this secret. We must not say in public that it’s how humanity in a technological age reaches outside itself, how we find a mirror distant enough to see to our edges, how we face the void. Shhh. We have grown some of the great monumental art of our time right on the institutions of fear and violence, like a bromeliad on the saggital crest of a rogue ape. We made a lot of awful compromises to do it. But we did it. 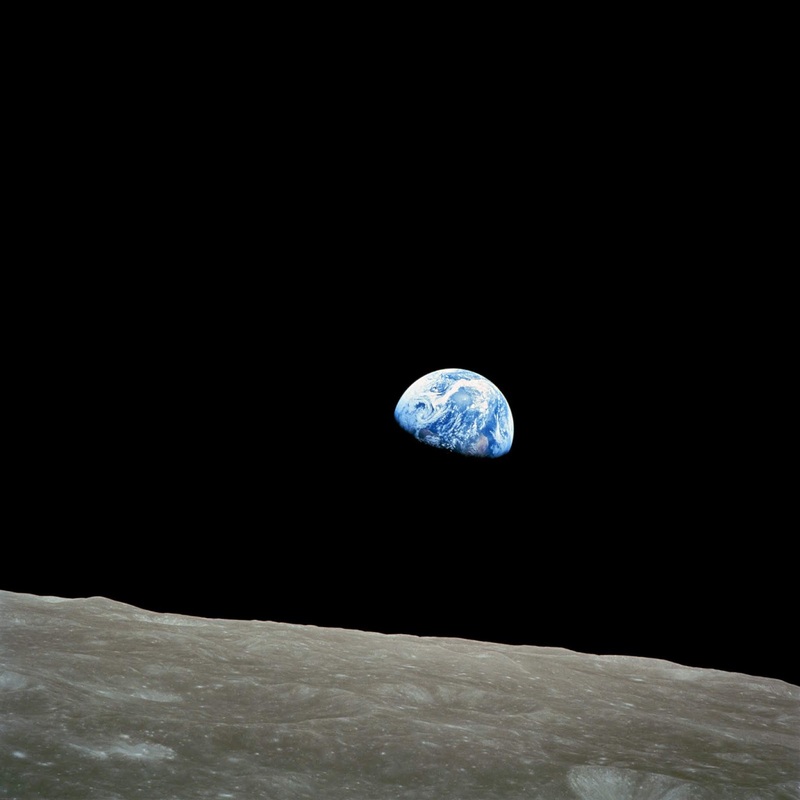 And @vruba also has some words about Earthrise and other things which I think you really out to check out. Update: As one would expect, on this subject Carl Sagan brings it. I've spoken in praise of Jimmy Carter before. You'd think after finally winning the Nobel he'd be ready to ease up. But via Terry Karney I learn that Mr Carter is still bringing the awesome. I have been a practising Christian all my life and a deacon and Bible teacher for many years. My faith is a source of strength and comfort to me, as religious beliefs are to hundreds of millions of people around the world. So my decision to sever my ties with the Southern Baptist Convention, after six decades, was painful and difficult. It was, however, an unavoidable decision when the convention's leaders, quoting a few carefully selected Bible verses and claiming that Eve was created second to Adam and was responsible for original sin, ordained that women must be “subservient” to their husbands and prohibited from serving as deacons, pastors or chaplains in the military service. This was in conflict with my belief — confirmed in the holy scriptures — that we are all equal in the eyes of God. Via Laine Petersen, The Chap Olympiad. Now that I have a pith helmet, perhaps I will enter next year. There have been many things where I've given the Obama administration a little slack, with the hope — often rewarded — that it's doing some subtle Barack-Rahm rope-a-dope. This is not one of those times. There is no justification for this. I offer dday at Digby's Hullabaloo and Greenwald at Salon, because I'm without words. Last week I saw the video. Now Jonathan McIntosh explains why he had Buffy confront Edward. I usually try to stay away from the forces of darkness, but last week I killed a famous vampire — and let me tell you, it was fun! Actually, I didn’t stake him myself — I used new media tools to allow one of the strongest female television characters of our generation to do it. OK, let me back up a minute. Last week, at the Open Video Conference at NYU Law School, I debuted my feminist mash-up video, Buffy v. Edward . It’s an example of transformative storytelling which reinterprets the movie Twilight by re-cutting and combining it with the TV series Buffy: The Vampire Slayer . More than just a showdown between The Slayer and the Sparkly Vampire, it’s also a humorous visualization of the metaphorical battle between two opposing visions of gender roles in the 21ist century. Joe Bob says check it out: it's not only an incisive critique, it's fun and clever. If you're not real familiar with Twilight , I can say that I did see the film and Mr McIntosh is not, by my lights, misrepresenting it.